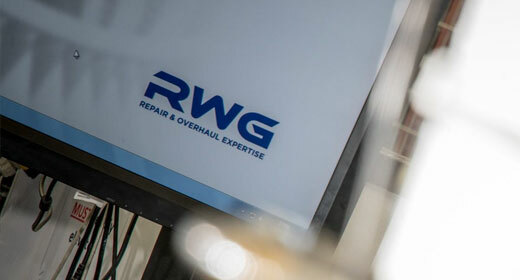 At RWG, we have a wealth of engineering experience. And we put it to good use, solving the problems you experience with your gas generator equipment. Our team of highly skilled materials, engine test and service engineers focus on preventing or limiting equipment downtime, and reducing your overhaul costs. Our engine-related fault finding and failure investigation expertise is unparalleled in the industry. We have access to an extensive engine database for SGT-A5 (Industrial RB211), SGT-A20 (Industrial Avon), SGT-A05 (Industrial 501) and Olympus, and marine Spey, Tyne, Olympus and WR21 gas turbines, and our services are backed by robust OEM technical expertise. From engineering consulting, to failure investigation and reporting, and diagnosis and monitoring of service condition, you can trust us to assess your plant and propose the right repair solution for you. 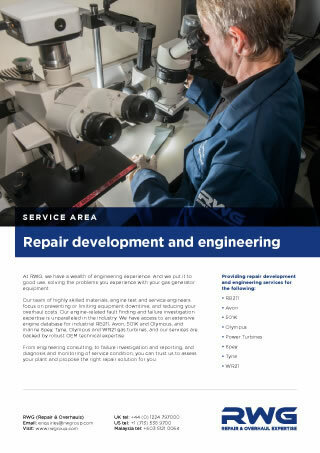 Our repair and development engineering capability is available to support equipment already in our facilities, and we can also offer our services to you directly, so you benefit from both RWG and OEM expertise for service issues and damage assessment. We can help you maintain the continued, safe and efficient operation of your equipment. Get in touch with us to discuss your gas generator equipment engineering requirements.